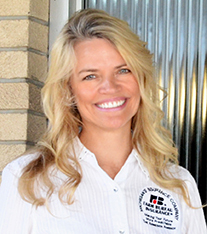 I am very pleased to represent the Farm Bureau Insurance Companies of Michigan. Because Farm Bureau Insurance is a multi-line company, I can provide insurance for your home, auto, life, farm, business, retirement, and more. Why do you buy insurance? Do you know what you're buying and why? If you are my client, I will take the time to explain what you need to protect the ones you love and the things you value. I can help with your insurance needs whether it's insuring your farm or planning your financial future. You are IMPORTANT to me and it is my goal to help make your financial future more predictable. I've made a commitment to serve the local community and to always increase my professional knowledge so that I can better serve my clients..